Trade -in the old fleet for a new one! Kline Van and Specialty Rentals is a full service provider. They can help with rental & leasing of course, but can also help with fleet disposal, fleet planning, purchase acquisitions, and transportation. If you want new or replacement fleet – fill out the no obligation quote and tell them about your fleet to trade in the notes section and if you only want to sell, use the contact us page. Send a message about what you have and what you want to do. Be sure to include some details on your fleet – year, make, model, avg miles, etc. Kline will contact you to get more details as needed and will be able to make a couple of different offers for you based on that information. Other companies may offer similar sounding services – but they may not have any funds or interest in buying your fleet directly – and will only broker it. Kline will also use brokerage as one option, but they are not just a broker, they own dealerships, lease companies, and other outlets – Kline many times will OUTRIGHT PURCHASE fleet from companies wanting to sell. 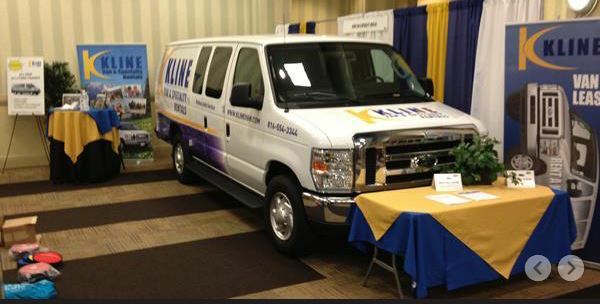 Kline would be happy to locate, procure, and sell fleet to you at a discount! They can help you find new, near new, used, or really any type of fleet your need or budget calls for. They can do almost any make and model – and Kline can ship units anywhere in the 48 mainland states! Check out this very informative video right here! The term “Arive Alive” can be used in many scenarios. For instance, passenger vans. 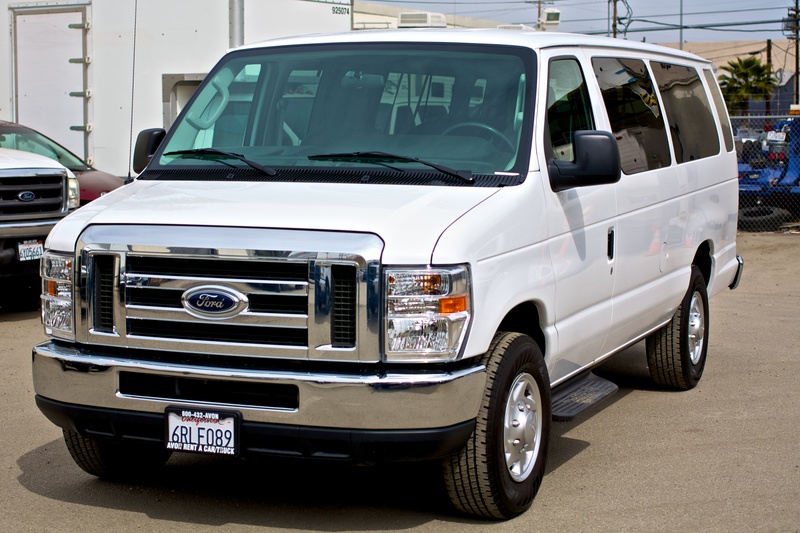 There are very strict federal and state law requirements for the use of 12 & 15 passenger vans. While these vans are still very much used and needed for church groups, college teams, and other large group activites, you need a fleeting company that you can rely on. Kline Van & Specialty Rentals is the fleeting company. Equipped with a friendly and knowledgeable staff, Kline is up-to-date on the latest laws and complies with all of them. Safety is our #1 concern when it comes to our passengers. We are able to get the newest, most advanced vehicles in safety for our clients. If you are in need of a fleet solution for anything purpose please visit klinefleetsolutions.com today! Click here for a free quote or contact us right now! For current safety laws click here. KLINE – No matter where you go or what you do, we can help you get there! Kline Van is a multifaceted company with several branches and divisions within the automotive industry. Kline Van & Specialty Rental is the Corporate Rental & Leasing Division of that company. As a company, you may need light work trucks, vans, sprinters or a variety of vehicles. With Klines ability to obtain almost every make and model, we have the opportunity to give you exactly what you need! We are able to make custom price packages for your needs, so you don’t pay for excessive things you will not use. If you have a logo or trademark you need installed onto the vehicle, Kline has that covered as well! We guarantee on-time assurance, so your new fleet will never be late. Choose Kline today if you want to get the latest technology and most fuel efficient vehicles on the road! Call us or click here for a custom quote made just for you! WE CAN HELP GET YOU THERE! Within the fleet leasing business are many programs designed for a specific purpose! At Kline Van and Specialty Rentals, one of our main focuses is Government Fleet Programs! This is important and helpful to government fleet directors/managers for many reasons! Budget being one of those reasons. Most government agencies are tied into a very strict budget. Choosing a fleet company frees up that budget by making it an operating expense. This also allows for more vehicles, a wider selection and vehicles to be equipped with what they need rather than what their specific regulations are! With fuel efficient vehicles being in a higher demand and requirement, Kline has the ability to get any fuel efficient vehicle you may need! 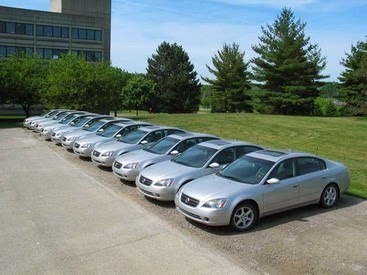 We specialize in Closed-end leasing which best suits the Government Fleet Programs, allowing to just trade your fleet back in for a newer, more efficient, loaded, technological fleet! Our low pricing will also help! This puts the agency in a good position to higher more employees and train them! Maintenance is a burden and we can take care of that as well as offering nation wide service!! Kline can install special decal suited for the appropriate government agency. Contact us today or get a custom quote here! Closed-end leases are most common for consumer leases today. This type of lease allows you to simply return your vehicle at the end of the lease and have no other responsibilities other than possible payment of excessive damage or mileage charges. Closed-end leases are based on the concept that the number of miles you drive annually is fairly predictable (12,000 miles per year is typical), that the vehicle will not be driven in rough or abusive conditions, and that the vehicle’s value at end of the lease (theresidual value) is therefore somewhat predictable. At the time you lease, the leasing company estimates the vehicle’s lease-end residual value based on the expected number of driven miles. If the vehicle is actually worth less than the residual when you turn it in, the leasing company takes the financial hit, not you. On the other hand, if the vehicle is worth more than the residual, and you have the option to purchase, you may want to buy the vehicle and keep driving it — or sell it and make a profit. This happens frequently. Open-end Leases – AKA and VARIATIONS include (“capital lease, finance lease, commercial lease, lease with required balloon, Lease with conversion – required buyout) This will be the rent of the market, long term fleets, cycling and rotation to cover ongoing use, high miles, and special equipment. Open-end leases are used primarily for commercial business leasing. In this case the lessee, not the leasing company, takes all the financial risks, which is not so much a problem for a business, since the cost can be expensed. Annual mileage on a business lease is usually much greater and less predictable than the average 12,000 miles-per-year of a non-business lease. In open-end leases, you are responsible for paying any difference between the estimated lease-end value (the residual) and the actual market value at the end of the lease. This could amount to a significant sum of money if the market value of your vehicle has dropped or you drive many more miles than expected. Often, the residual for an open-end lease is set much lower than for a non-business closed-end lease, which reduces the lease-end risk, but can significantly increase the monthly payment amount. Check out Kline Van today!! Kline Van & Specialty Rentals! Premiere Fleet Company! Kline Van & Specialty Rentals, your National Fleet Leasing & Rental Partner. Kline is your most trusted source, we currently work with many organizations including Colleges, Utility and Construction Companies from Maine to California. Whether your needs are monthly or annually from 25 to 1,000 vehicles we will design a customized solution to enhance fleet efficiency and safety while saving your organization time and money. Kline Van & Specialty Rental has long been a rental vehicle provider to Universities and Colleges. Though not limited to sports and athletic clubs – Kline’s custom programs designed to fit either academic years or sporting event seasons, have proven very popular among directors. Kline has provided teams with passenger vans as well as pickup trucks and cargo vans to haul their equipment. Let Kline Van & Specialty Rental help your club or athletic department with roomy, comfortable team travel. Our vehicles are either NEW or factory certified – fully serviced and inspected prior to delivery. While anyone can rent a vehicle – it is Kline’s customer service and flexibilty that sets us apart from the pack. We will happily work with your administration department or department manager to set up a turn-key rental experience. Our terms are flexible and we work with most P.O. Billing systems. KLINE – NO MATTER WHERE YOU GO OR WHAT YOU DO, WE CAN HELP GET YOU THERE! Call us today at (816)554-3344 or click here to get a quote today! !